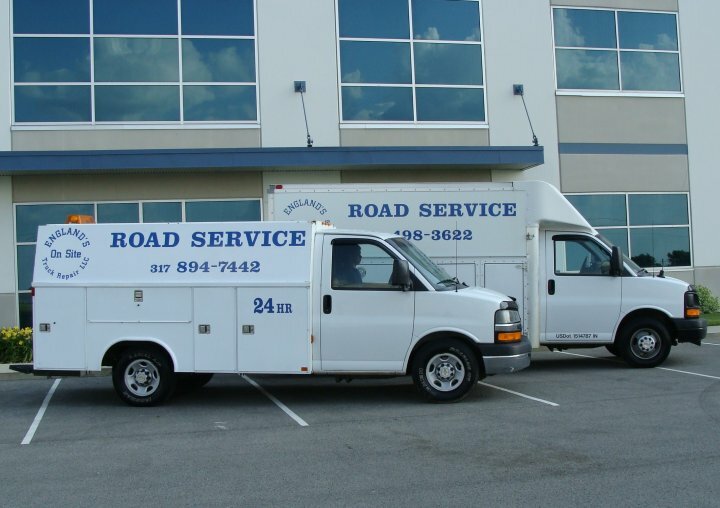 Road Service is what we do! Not just a sideline! Serving All of Anderson and the Surrounding Areas Including I-69. Contact our mechanics in Anderson, Indiana, for mobile spotter truck, semi truck, trailer, RV, bus repair and road services. England’s On Site Truck Repair service located in Anderson, IN offers 24/7 truck road service, semi truck repair, semi mobile repair, trailer repair and semi truck tire repair. Our mobile repair mechanics are very experienced and knowledgeable and come to you for your convenience. Contact us today. We are a locally owned and operated road service company and always provide quality truck repair and semi truck repair, excellent customer service, and competitive prices. We serve all of Anderson IN, and surrounding areas.Contact us to find out more. Contact our certified mechanics in Anderson, Indiana, for truck & trailer and semi road service repair.